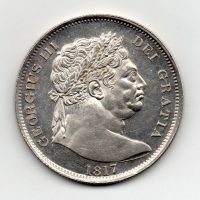 1818 Half Crown, George III laureate bust, reverse, crowned shield in garter, prooflike fields, virtually uncirculated. 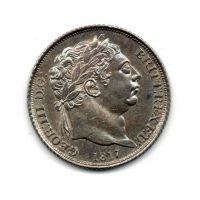 1817 Half Crown, George III laureate bust, reverse, crowned shield in garter, uncirculated. 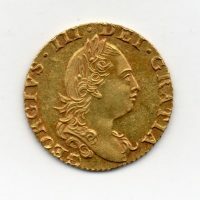 1777 Half Guinea, George III fourth laureate bust, reverse, Crowned shield of arms, uncirculated, lustrous, a very attractive example with much eye appeal. 1787 Sixpence, Proof (plain edge) by Pingo, George III laureate bust, reverse, crowned cruciform shields with hearts, crowns in angles, ESC 1640. 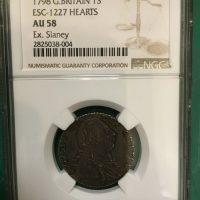 This example is slabbed by NGC PF 63, a really attractive example and in our opinion this is very conservative. 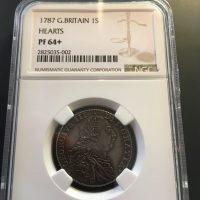 1787 Shilling, Proof (plain edge) by Pingo, George III laureate and draped bust, reverse, crowned cruciform shields with hearts, ESC 1226: R4 (11-20 known examples). 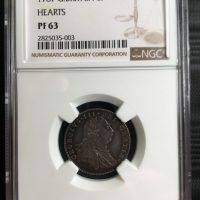 This example is slabbed by NGC PF 64+, extremely rare. 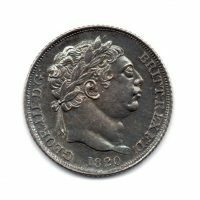 1819 Half Crown, George III laureate head, reverse, Crowned shield, good extremely fine. Ex Slaney collection, Spink auction 163, 15/May/2003 lot 218. 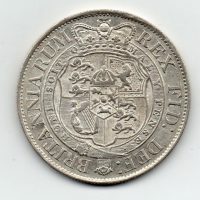 This is perhaps the most sought after English shilling, it is certainly one of the most famous. Not only is this piece a great rarity, it also comes from one of the most prestigious collections (Slaney, part 1). Examples from this issue very rarely appear on the market. 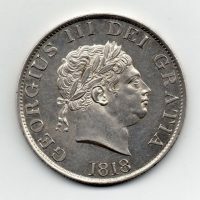 1818 Sixpence, George III laureate head, reverse, crowned shield in garter, uncirculated, toned. 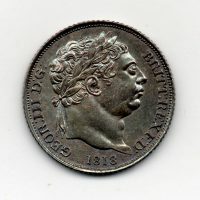 1820 Sixpence, George III laureate bust, reverse, crowned shield in garter, uncirculated, attractive toning, prooflike.